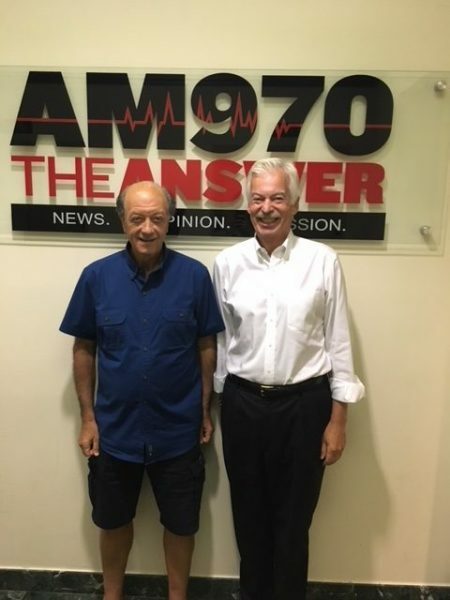 The following is a conversation between Mario Morino, Chairman of The Morino Institute, and Denver Frederick, Host of The Business of Giving on AM 970 The Answer in NYC. 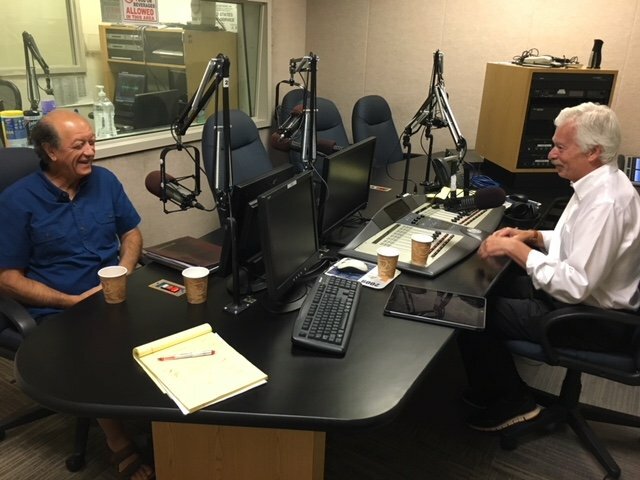 Denver: If you were to take a poll and ask people who they consider to be the Renaissance man or woman of the nonprofit world, I suspect that my next guest just might be the top vote getter. He has the uncanny ability to connect disparate dots, a holistic understanding of what it takes to create a high-performing organization that has real impact, and the ability to communicate that in an informative and engaging way. 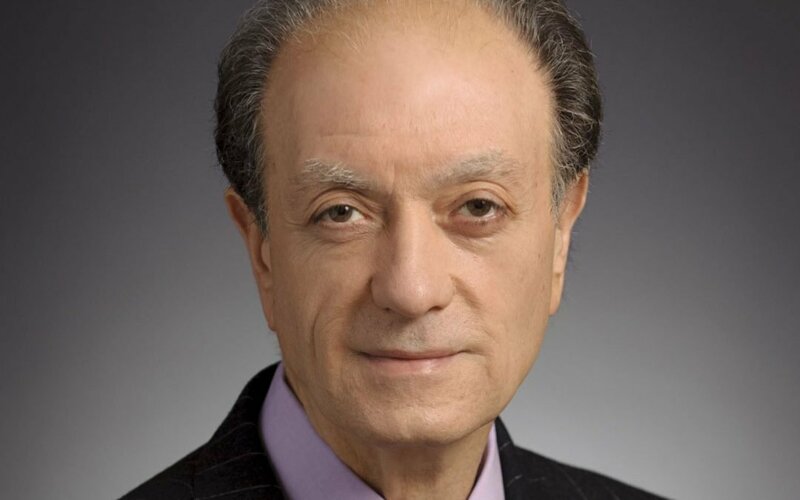 He is Mario Morino, the founder of Venture Philanthropy Partners, author of Leap of Reason, and chairman of the Morino Institute. Good evening, Mario, and welcome to The Business of Giving. Denver: There is so much to talk about with you, but first, give us a brief overview of the Morino Institute and of its mission. Mario: The Morino Institute doesn’t have a specific mission, per se. it’s a holding organization. We have something called the Morino Group which is a for-profit, which is only for holding investments in the Morino Institute, and we use those two entities to turn and work on whatever problem we want to work on. I don’t mean to say that we don’t have a mission, but there is no… if you looked at my life mission, there is none. It’s basically, to live life well. Consequently, what put us somehow without realizing it, I ended up doing in the nonprofit world what I did in the corporate world. We work on issues of performance and how organizations function. Basically, the Morino Institute has been an incubator for a lot of different efforts over the years. Denver: You’ve had a couple of major stops in the world of philanthropy after your life as a software entrepreneur. You sold your company back in 1995 for $1.7 billion which was a record at that time. One of those stops would be Venture Philanthropy Partners. But for those listeners who might not be familiar with the term venture philanthropy, of which you’re a pioneer, how would you describe it for them? Mario: First of all, the concept of venture philanthropy was popularized in the late ‘90s, but arguably, it was probably recognized and then done by David Rockefeller decades before, and I didn’t have the smarts to understand that at that time. But if you take the big picture, and you separate it from all the jargon in the field: It’s taking what I call an investment approach to an organization. By that I mean, not a financial approach, but looking at an organization that you think has potential to get more effective, but you see that through the eyes of the CEO and the board. What you give them– or you bring to the table– is significant capital. You give that to them over a multi-year period of time, multiple horizons, so that you can stay with them. You bring significant strategic assistance to the table to not change their mission, but to help them achieve that mission. So, that the key elements are multi-year financing, significant capital, shared visions to success, and the realization that you’re there to help that leader not to dominate the leader. That’s by the way, is not the typical definition of venture philanthropy. Denver: It’s real and deep engagement. In 2000, you and a couple of others, including Mark Warner, the Senator of Virginia, started Venture Philanthropy Partners, and this was the place you could really put into practice a number of those core beliefs. Tell us about that organization and the area of the country that it served. Mario: Venture Philanthropy Partners exists today under the leadership of President and CEO, Carol Thompson Cole, doing some great work which we can touch on; hopefully, we can get in a discussion. But we created the organization in 2000 after spending two years in the field trying to get a handle of what was going on. Denver: Yeah. You did your due diligence. Mario: I always come back and say, if we did that, we realize we didn’t do enough. We stumbled out of gait the first four or five years; it was tough. A lot of stuff we thought were the right things that we learned; we had our lunch handed to us a number of times, in a number of areas. What we learned was that a lot of business discipline had to be blended. You couldn’t just come in directly with those concepts. I think that’s the mistake so many people make today. And I think over the five or six years of that initial experience, we learned how to blend the concept of business discipline, good discipline with some of the mores of how the nonprofit sector actually operates. That would be the essence. The biggest thing we learned was the importance of navigating regional ecosystems and knowing how to work through the cultural issues, the ethnic issues of areas, the jurisdiction issue areas, because that’s how you got things done. I think many people don’t take the time to map out the space in knowing who has to be touched, involved, worked with, etc. Mapping that ecosystem and navigating, I think, was the single biggest lesson we learned in the first 10 years. Denver: That’s really very interesting because I do think there’s a lot of us who think it can be formulaic… It worked here; it will work over there. That just never seems to work because you’re not responding to the environment and meeting people where they are. You’re trying to force your point of view on them. Mario: I’ll use an example, you mentioned Senator Warren… in great respect. We held a meeting November 5, 1999. In fact, there was a great group in the meeting. I remember we talked about putting in a learning center. In those days, back to the ‘90s, learning centers were putting computer technology into centers where kids could get at them. There was a person in New York; the woman and I got into a number of significant debates; talked about how you could put these up in two weeks. Of course, two of my colleagues… business people…said: “Of course it could be done in two weeks!” I said: “No, you’re missing the point! This takes at least a year to 18 months.”! “What do you mean?” they said. I said. “Putting computers in is the last thing you worry about. Engaging in that community, in that neighborhood, figuring out the right place to put it, working with the community leaders to get them to come in; that’s where the work is; that’s 12 to 18 months.” And everybody’s looking at me like I’m crazy. But that’s the world. People don’t want to take the time. Everybody’s out to serve the boards. You’ve got to take the time to engage the community and find the right people to work with. Denver: I sometimes find that in fundraising, which is so often the last link of the chain, and you have to then begin to go back to the organization and say: we have some problems here or issues that we need to solve. You can’t just magically go ask somebody for money, and that will fix all your problems. But that again is the silver bullet that you’re talking about. Tell us a little bit about Venture Philanthropy Partners today. They’re in the greater Washington Metro area, and some of the work that they’re doing. Mario: it’s been fairly successful. I want to give credit to the current leadership. Carol Thompson Cole, the President and CEO now probably since 2007-2008. Dear friend, great leader, very different than myself in terms of context. She’s built on what we did originally, significantly. Today they’re probably doing one of the seminal projects in what people call collaborative investment. One issue… just to step back on this a second, one criticism I have today where we try to find these collective solutions for communities is they don’t want to spend the time building relationships together. To Carol’s credit, and I’m going to go back; in 2000, we formed VPP, Venture Philanthropy Partners, we had a very unpopular position that funding, solving DC’s problems was risking solving yesterday’s problem because we could see the gentrification coming. The poverty was moving in to Prince George County, Maryland and down the route in Virginia. Today, that’s exactly where the poverty sections are. Carol also saw that. Carol started working in the Prince George County back in 2005. The reason I bring this up is the amount of time that’s been spent building relationships. Today, Venture Philanthropy Partners has a program called Ready for Work. It’s in partnership with the county government, the county school systems, the Wegman grocery system. Hillside Agency is one of the finest worker-entry programs in the country. Also, a number of the nonprofits that Venture Philanthropy Partners work with. They’re all working together around the common issue of getting disconnected youth, 18 to 24, back into the mainstream, either to get into where they have an employable opportunity or change their mindset to move on to college. I think, is it going to be successful? Do we know that? Hard to say. However, if you step back and look at the process by which they’ve gotten there, the amount of time they’ve invested on building the relationships, finding the right partners to the table, crossing sector; you check all the boxes. I think it’s one of the best models I’ve seen to actually go in and see the collaborative process can work, but it takes remarkable discipline and remarkable time in the community. The book went from being about outcomes, the importance of outcomes to really being about the role management plays. Denver: Well, you’ve got a good eye for that. One other problem I think we have about 5 million young people in this country in that age range who are neither employed or going to school, and there’s about 350 million of those around the world. So that is a big problem. In 2011, you published Leap of Reason: Managing to Outcomes in an Era of Scarcity, one of the most influential books that the sector has ever seen. I read it when it came out. I remember, I was urged to by so many people. What was the essential message you were trying to communicate through this book, Mario? Mario: Not to give you a winding answer; it actually changed. The first message was about the issue of what I call not the fallacy, but the shortsighted nature of outcomes. The reason the book got written and again, I was in three different meetings in my usual blunt face. I got so pissed off in the three meetings because it was different parties of people talking about what a nonprofit leader should do and what measures they should use. As an ex-CEO, I thought to myself, I’d be really offended if someone else would be telling me what to do. I always remember that. We published an article called Outcomes: Can’t See the Forest For the Trees. The point is, people are looking at a piece of a puzzle as opposed to understanding. You’re looking at an outcome, a result. But to get there takes a lot of different things, not just one thing. That was our point, you can’t see the forest for the trees. It really changed from being a book about outcomes to being a book — it’s actually a book about management, if anything. What happened is we’re very irritable when we write or do things. We kept getting good feedback or criticism in… what happened, the piece that put it together was actually Chapter 3, the culture piece because we had different pieces in place. A friend of mine said, why don’t you just; how do you put the glue together? And I finally just sort of, the glue is always the culture of the organization. This was not just written by me. It was a number of people really. The book went from being about outcomes, the importance of outcomes to really being about the role management plays. Management with a big M. Not in a Drucker sense. What that does in terms of getting to the results of how nonprofits actually can help and benefit who those they serve. Denver: After that, you wanted to animate the ideas, and you formed this Leap of Reason Ambassador Community. This is an invitation-only group made up of over 150 truly exceptional individuals who possess great knowledge and wisdom about the sector. What is their charge and what has their impact been? Mario: Good question, we wrestle with this every day. I like to say again, it was myself and again a lot of others. I want to give a good reason why we started, we did the book, and I actually felt guilty right away because I’d been out of action for a couple of years. I wanted to make sure that what we wrote about was real. So, we visited about 20 sites in 2012. You mentioned culture. One of the sites I visited was Youth Villages in Memphis. They wrote the book on culture too. Phenomenal organization. What was good for me was I was able to confirm with a number of these organizations that what we wrote about was real. You could achieve it. You wanted to be able to say, yeah, this is real stuff. After that, we kept getting requests and we realized that there was an aftermarket to the book. We were surprised. We literally thought that when we did the book, 90 days later, I was going to be out doing something else. Honest to goodness. But we kept getting this reaction. So, we wanted to tap it in some way. I’ve always had another element which went back to when I first broke in the field in 1992. I was always perplexed why the sector; I use the term at that time; never understood “flexible networks.” What I mean by that is, when you go back to manufacturing areas where; of course the movie industry is classic; where small organizations come together and able to share resources and connect to create these networks. The nonprofit is almost….the sector’s designed almost to users and it’s never taken place. And it’s a form of, you get a little Flash Gordonish; the concept of online community. I always wanted to basically pose that as a way to help leaders. So, those two forces came together. We joined a few other people but the point was always; the original purpose of the community and it’s still the purpose today; you have to shift minds that performance matters. It sounds crazy. Of course they do, and the reality is, that’s lip service. It’s that simple. You can’t get solutions until a leader and board shift their attitudes and minds that they’re going to solve that problem. Deal with it. That’s what the community is about; shifting people’s minds that performance of an organization actually matters. The mission and performance are inextricably linked. Denver: As you said, it sounds simple, but it’s always the simple stuff that makes the difference and people just gloss over. One of the things that this community has done is they built a framework called Performance Imperative or PI. There’s a tool around that as well. How is this helping nonprofits? Maybe you can give us an example of one who has actually used this to better their organization and their mission. Mario: When we created the organization, we came together; we were only at that time about 50 ambassadors, and we said, “In order to go forward, what is high-performance?” If you actually do research, you cannot find the definition of a high-performance organization. You’ll get it for a high-performance team, but not for an organization. Even in the private sector. So, we took it upon ourselves, and again there was a group of people who came together to first of all, establish a definition which we think is maybe the most important part of the performance imperative piece. That definition generally speaking was a sign of a high-performing organization is someone who for a prolonged period of time is able to produce meaningful, measurable, financial, sustainable results for the people or causes they serve. But that point is, over a long period of time– meaningful, measurable, financially sustainable results. Those are very key words to what makes a high-performing organization. What would be required to get there? We came away with what we call seven organizational disciplines or pillars. It’s leadership, it’s management, it’s program, it’s financial health, it’s culture, it’s continuous improvement, it’s evaluation. There’s nothing startling new about it. What I think is important that the people who did this, put this together, is the succinct nature of it. Basically in 12 pages, you capture the essence. I mean this without being ridiculous; go back to Deming and Drucker and Collin, and Peters; it’s in the 12 pages. Mario: When you get to people, I’m going to use one example. I’m very close to this school in Ohio, I was very involved in called the Lawrence School, for kids who learn differently. It was blessed with a great leadership team. They applied it internally. They applied the performance Imperative. They will tell you they lived it. Their head of school who just stepped down, Lou Salza, oftentimes referred to it. Used it with board discussions. Used it to bring people together on issues. Here in New York City, the Einhorn Family Charitable Trust, before we even knew, it was actually using the seven pillars to have dialogues with their grantees to understand where they could best help that grantee, strengthen, to be high-performing. So, there’s two examples; one from a funder, one from a nonprofit. Denver: One of those pillars is external evaluation for mission effectiveness. That is so important. Is that becoming more prevalent. Are organizations starting to do this and are funders starting to fund for it? Mario: Funders have been funding evaluations for decades. That’s a reality. The trouble is, they’ve been funding it for themselves. When you look back at… the funding community has done remarkable work in evaluation, but the evaluation was to inform the funder, not really the grantee, per se. That’s changing to a certain point. But there’s huge debate in the field about the issue of evaluation, where it takes place. Without getting into that debate, my consensus is that, my own personal view taking somewhat simplistic is, an external view is important from the day that you start. But this is my DNA. You’re always looking for some degree of external assessment whether it’s informal or whether you use your formal terms for it. But there comes a point where it has to become formal. The argument we made in there whether it’s an RCT or something equivalent to a random controlled trial: When you’re asking for significant money from either the private sector or public sector, you have the responsibility to yourself and those people to prove that what you’re doing works. How are you going to do it? But that’s the bottom line. You have to prove that what you’re doing works. The reality is there’s a lot of stuff that isn’t, without being disparaging, isn’t what it’s built to be. You reference some people today, like look at the track record of the Edna McConnell Clark Foundation. Many of their grantees are some of the now the best nonprofits in the field today, but they’ve been able to demonstrate that what they’ve done really works. Pat Lawler – Youth Villages, Molly Baldwin – Roca, even the Hillside Agency. You see tangible results. You see improved lives, better communities. That’s what you’re after. Denver: They all took the long view. There’s no question about it. As we both know, Mario, funders often demand results from the grantees and pretty much just leave it at that. What should they be asking the grantee instead that could better assure that they’ll see these results that they so covet? Mario: It depends what the foundation or the donor wants first of all. Honestly. In some cases, they’re really just driving their agenda. They’re in fact contracting to certain nonprofits. Their concern for those nonprofits is different. They’re taking the high-level view. I’m not saying it’s right or wrong, where there’s others who are actually working through the nonprofits, and I think there’s a difference in orientation. It’s the latter case is where… in both of those cases I think what’s transpired, it’s not…may not be popular comment but just may have been over-focus on funders wanting information from their grantees but not being willing to put the support in place for those grantees to pool that information correctly. In fact, many times, that multiple funders getting one grantee actually creates a lot of confusion, the overhead they all complain about. The thing I do whether is someone like Einhorn, Janice Rothberg’s work, where there’s more of an empathy for the grantee, and the time taken to understand what the grantee is trying to do. Don’t try to change what the grantee’s trying to do but find out, pick those grantees where you agree with that mission, and then figure out how can you help that grantee get stronger, better, more effective, so they can be more effective for those they serve. That to me is the magic. But again, it takes an expertise in the program officers. It takes time to learn more about the grantee, and we tend not to go that deep. Denver: You’re absolutely right. They want the results, but they don’t take the time to say, “What do you need to be able to produce those results?” And let the grantee tell you what those are. Mario: In fact, take a step back, you mentioned Venture Philanthropic Partners, when the team goes in, there’s always an initial planning phase. It’s not something to be imposed. It’s meant to be not for us. What we’re trying to do is establish a process by which the organization will put a mirror to its face, come to its own conclusions about what it needs to be better. Not us. They do that. Once you get that point, then everything starts. Then we can kick in with funding. We can kick in with assistance but they got to… unless they believe it, our role doesn’t count. You got to get them to believe it first. Then you got the game. Denver: That’s the way pretty much all of life works….matter of fact, I think I’ve found out. You have wonderful insights, Mario, on a whole host of different topics that impact the sector, and I want to get your take on a couple of them. The CEOs I speak to often cite to me as their number one problem, their board. Boy, is that a common concern. What have you learned about nonprofit boards, and what advice do you have for the leaders of these organizations? Mario: Carefully watching my comments. Most nonprofit boards are dysfunctional. Just say it as it is. I think there’s a lot of reasons for it. First, I think a lot of leaders don’t know how to put boards together. You don’t spend time doing that type of thing. Two, a lot of people grew up with very negative views of boards. So, by definition, they’re working with a board defensively as opposed in like say, I’ve been blessed in my life I always have these phenomenal boards. In all fairness, the time I spent with General Atlantic and Steve Denning, chairman there; we’re good friends, the focus on getting boards that were strong which would push back in a constructive way, which push you out of your comfort zone; those are what you want in a board. You want a board you can confide in. You want a board you can tell your worst problem to, and they’re going to help you, not stab you in the back. Then you have a good board. But getting that relationship between management and the board is so tough in the field today. The other thing is, a lot of people go on boards, and they don’t expect to work. They’re going on for a different reason. If I could, my first experience, I won’t name who it was; I went on a board, I didn’t know any better. It was my first time. A woman, remarkable human being. I loved being around her, great insight; I go on my first meeting, and the chairman and ED are at each other’s throats. What did I get into? And I didn’t say anything. I’m sitting there because I didn’t know what I should do. I came from this other world. I think a lot of people go in and they don’t know what to do yet when you should be asking the hard question: Is that my role yet? A lot of people check their brains at the door. That’s the best way you can say it. And they check their courage at the door. That’s even more important. They don’t want to ask the really hard question. Denver: I’ve had that experience myself, and I’ve always wondered: How do they run their companies? Because they get very passive. I must say, it seems that what I’ve been able to observe too is that a lot of times CEOs are so desperate for a “yes,” they don’t really tell the board member what’s expected of them. Then when they’re disappointed, the board member says, “Well, I’m doing what they asked me to do!” But they tried too hard for that yes, and that’s a big mistake. Mario: That shows there’s a lack of ongoing communication in the interworking between the board and the leadership, and you want to have more of a seamless relationship. Not this distance. I’m going to meet you once every three months. You want a dialogue, so there’s no surprise. People are involved. Again, boards can be remarkably constructive and helpful. That’s the reality of it. The people you hire are the most important thing you do. Forget all the big strategies for a minute and for some reason, we’re beating the field down to not think that way. We want to get somebody we can afford as opposed to the right person. We oftentimes are too kind in how we make those judgments. Denver: Let me ask you about talent…something which I know you’ve very keen on and there’s some real competition coming from purpose-driven businesses. According to nonprofit HR however, two-thirds of nonprofits have no talent acquisition strategy and then a full 56% said, “We have no plans of ever getting one.” How do you believe organizations need to start thinking about talent and hiring? Mario: I’ll try to answer two ways. One is, forget the plans. Forget anything that’s grandiose. The people you hire are the most important thing you do. Forget all the big strategies for a minute and for some reason, we’re beating the field down to not think that way. We want to get somebody we can afford as opposed to the right person. We oftentimes are too kind in how we make those judgments. We’ve created the environment that we don’t encourage the executive director or the president to go after the best talent. There’s no one on the board advising that. No one helping them with that thought process. Sometimes compensation is a factor. There’s a whole bunch of reasons that go into this, not going after the right people. There’s a degree of; I’ll say it bluntly, mediocrity in the field right in that space because oftentimes, we just don’t take the extra step to go from the average to the good and the higher. It’s that simple. Forget all the great strategies. I’m talking Management 101, blocking and tackling. Just within the culture of the organization, make sure you’re always taking your best shot at the person you’re bringing in. Cry once, cry the first time. Don’t cry multiple times thereafter. Do you need a talent strategy? Sure. There’s no question, but the reality is just make it Management 101. Get the best people you can get in. Denver: Let’s talk a little bit more about culture because you touched on that a few moments ago, and I think you said that you may not have been the best manager in the world. You’re not sure of that. But you were a damn good culture guide. How do you describe corporate culture? What does it take to have a healthy and a robust one? Mario: In my life, getting the culture I think was totally accidental. It was more of the, we lived the experience more than anything else.First of all, leadership has to walk the talk. I use the example, in the firm, there was a piece of paper on the floor. I would watch to see who’d pick it up. Person who cares picks it up. Person that doesn’t care, it sounds stupid but I think…. Very telling. You want to have an environment… Without respect, you can’t be a culture first of all. People have to feel involved. They have to feel what they’re doing means something. There has to be a degree of fairness in that process. They have to know that leadership cares about them. These to me are all elements of positive culture. There has to be a degree of performance in there. It just can’t be all Kumbaya and harmonious. They have to know there’s a degree of… accountability is a wrong term; but execution counts. But you want the people doing it because they care. What you want most of anything is somebody has to care. They have to care. You want people who are curious. You want people who’re going to push you in a constructive way. You don’t need people who have sharp elbows. You need people with soft elbows who’ll get the job done. They come together; you want egos left at the door. You want people who can get behind a shared vision. They can work with somebody, I don’t care if they’re going to lick stamps that day or go around and make major meetings, but you want that open culture. But I think all those things go into making what I call a constructive, healthy culture. Denver: Sort of a, whatever-it-takes attitude down the organization. Let’s talk about this overhead quandary that plagues the sector. Donors and even some watchdog groups. They want those contributions to go to program and not to overhead. Frankly, it can be pretty tough trying to raise money if you’ve got a very, very high so-called overhead. Overhead is paying for talent, it’s paying for leadership development. Might mean paying for a new IT system. People talk and talk about this. Is there any escaping this paradox? Mario: It’s a great question. Ironically, I just had an email exchange in the last 24 hours with a colleague that got stung on the same exact Sunday. We just published a piece, and he posted inside and suddenly said, “What about the performance, what about their overhead?” And this is the guy who used to be my CFO! . I went back and I said, “Jim, when we would go to acquire a company, what would we be looking at? Weren’t we looking at a position in the marketplace? Weren’t we looking at the quality of their product? Were we looking at the relationship with their customers? Will we look at how they are perceived in the field, I said. When we got in the elevator, weren’t we missing the game? Every time we started a deal by looking at the numbers, then we screw it up instead of looking at the end result. That’s the problem in the field today. You’re looking overhead, then you’re looking at the wrong thing. You should have been asking how effective they are, how many people they are serving over time. Start there with your discussion. Then come back and look at the numbers afterwards, but don’t start with that discussion. Why do you care if they’re really good? Why do you care if they got a high overhead for? As long as it’s justifiable. Do you want Three Cups of Tea? Hell no. You want these absurd…you want to make sure those things…but that just takes some due diligence. Then he referenced the board. He was on how he got messed up, and I said, all you had to do was, you got seduced by the names. If you had just picked up the sheets and looked down the cards and asked any of your friends, they would have told you how screwed up that place was, and you didn’t do your due diligence, right? Let’s put the blame where the blame is. I think the overhead thing is something that’s pushed so out of proportion in the field today, and I think we should be looking at one thing. What do you have to do to run and manage a good organization? The point I’m saying is, I don’t think management has understood. That’s the problem. Denver: You’re a Cleveland kid; through and through and through. Big fan of the Cavaliers, the Indians, the Browns. How did your childhood inform your philanthropy– both your approach to it and the causes that you support? Mario: Philanthropy for me is a very highfalutin’ word. When we grew up, I used to say we were poor. We were poor not in the sense of today. We were not in poverty. Huge, huge difference. My mother cleaned houses; my mother cleaned offices. My dad sold sweepers door to door sometimes. I would go do odd jobs or work with my mom and stuff. We always had food; we always had a roof above our heads. Money was not something we had. But I always describe that I was rich in everything else. I look back, there are guys I played ball with, guys I went to school with; some guys served time. That’s the nature of it. Where we come from, I think we look back at those areas with rose-colored glasses. But there was always a sense of giving in the family. If I went back to look at the thing… if somebody was sick; there were times that I had four cousins living in my bedroom because they were out of work in Pennsylvania, and they would drive to Cleveland. My mother, we always had people at the table. They talk about a barn building. If someone was going to build a garage, guess what? Everybody went over there on Saturday to build the garage… We didn’t know what national service was. You did things because it was a natural act. I think it’s that simple. So, for me, whether it’s been my business… it’s not about giving back. It’s not about paying forward. It’s doing what you think is right at the point in time. Denver: Let me close with this Mario. We have seen industry after industry disrupted; media, music, retail, for sure, and maybe banking. That is already being disrupted. Do you believe there’s a major disruption that’s going to occur in the nonprofit sector, and if you do, any feelings what the future might look like in that regard? Mario: I’m not sure about the future. It’s always hard to predict. The nonprofit sector at the end of the day is still a reflection of what’s going on around it. Disruption is staggering. We’ve been on this kick for more than a few years now because the degree of major change, disruption in the banking industry. That disruption has taken place well over last two years. That has been going on for a long time. But if you step back and you look at the incredible pace of change of technology, the impact of globalization; what does globalization have to do with nonprofit? . There’s a lot to do with day to day life of people in that community. You look at the economic breakdowns, the hollowing out of the middle class; just take that alone. That means we now have many more people who need more services. At the same time, there’s fundamental cuts occurring in almost every level of our society. So, you have a natural conflict coming of a supply-demand problem of major proportion. That’s the scary playoff. If you pick up any newspaper and look at what’s happening to city budgets, county budgets, federal budgets; they’re going down. They’re being cut. In the meantime, there was article this morning. There was a guy who was making $19 an hour 10 years ago. Today, he’s now making $11 an hour, and he’s been stagnant for four years. He probably has no benefits like he had at $19/hr. So even though we have this wonderful, robust economy, we have a high employment rate, we have tons of our community that are in trouble, and we have a nonprofit sector that’s trying to meet that at the same time their funds are being cut. So, you’re talking about a potential explosion point. We won’t see it as a sector issue. We’ll see it as a breakdowns in communication. Societal issues. That’s your challenge. Denver: Nobody saved for retirement in this country too. What is that going to look like? Mario: The dilemma is the supply and demand issue for the sector. Again, I don’t think you’ll see this as disruption per se for the sector but you’ll see forced consolidations. You can see that coming. You’re going to see organizations, they don’t perish but they just be mitigated or relegated to a very different stature in our community. I will argue disruption is going on, we don’t see it. Watch any northern city today, and watch the degree of private schools being shut down because demographics changes. Denver: Mario Morino, the Chairman of the Morino Institute. I want to thank you so much for being here this evening. Tell us about your website and what might be useful to individuals or organizations that come there for a visit. Mario: Visit leapambassadors.org. That’s the URL for the Leap Ambassadors Community, and you’ll see information like the Performance Imperative. You mentioned something that we’re bringing out; a product rename called Performance Practice that puts the Performance Imperative into use. There’s many different articles you can use in the area today, and hopefully some supporting material which you can take away as an executive director or board member that help you in your job. Denver: Thanks Mario. It was so nice to have you on the program.